I met Irene on the bus the other day. She was seated wearing all purple and looking absolutely stunning. I could tell she saw me looking at her from the corner of my eye, so I got up to talk to her. 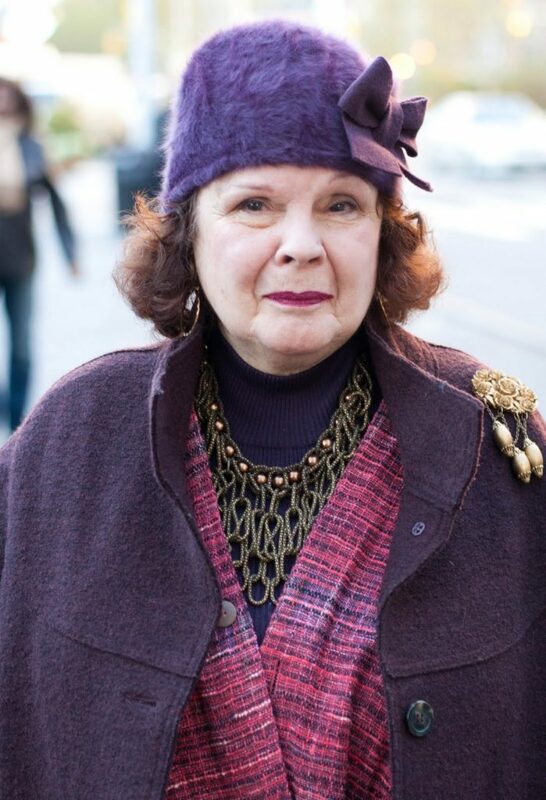 I told her that I photograph stylish older men and women and asked if I could take her photo once we got to our stop. She said she was in a hurry , but that I could take a quick photo. We talked for a moment and I could tell that she had so much to say about life and style. I gave her my card and she emailed me with a link to her wonderful website “Images and Insights“, where she shares her photographs and inspiring words. 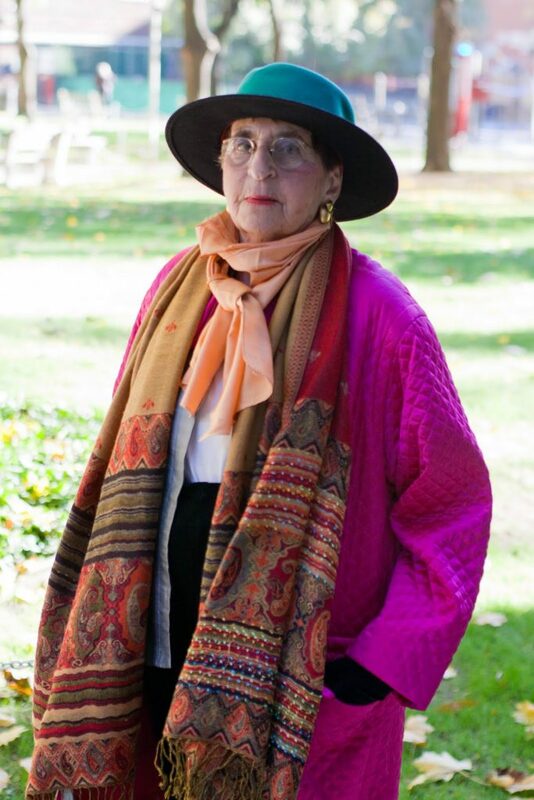 Irene told me,”I Once I wrote a bio in 6 words:” My life threads weave wondrous tapestries.” Check out her beautiful site and share your own thoughts and inspiration on The Advanced Style Forum. 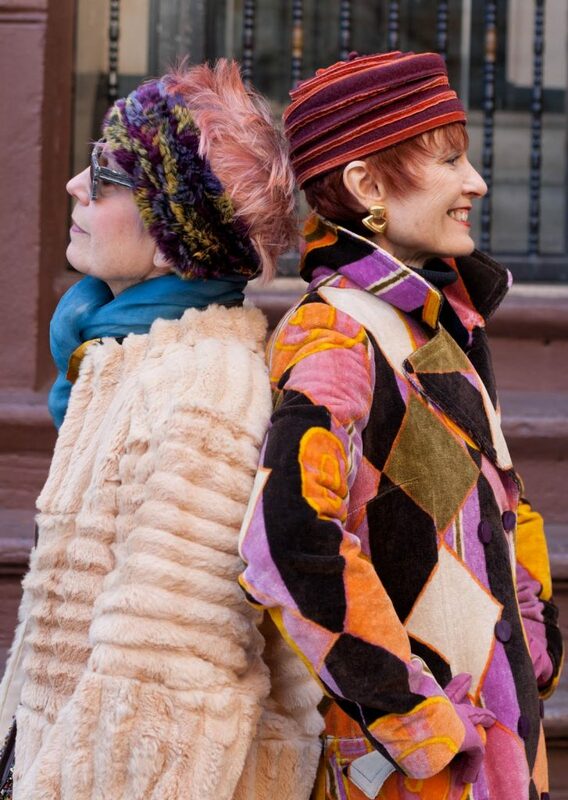 I had the most wonderful time meeting up with 67 year old blogger Judith Boyd of Style Crone this weekend. We walked around, went to a great show at the Museum of Art and Design and ran into some great Advanced Style Fashionistas. Judith told me that she was inspired to start her blog after reading mine for some time. 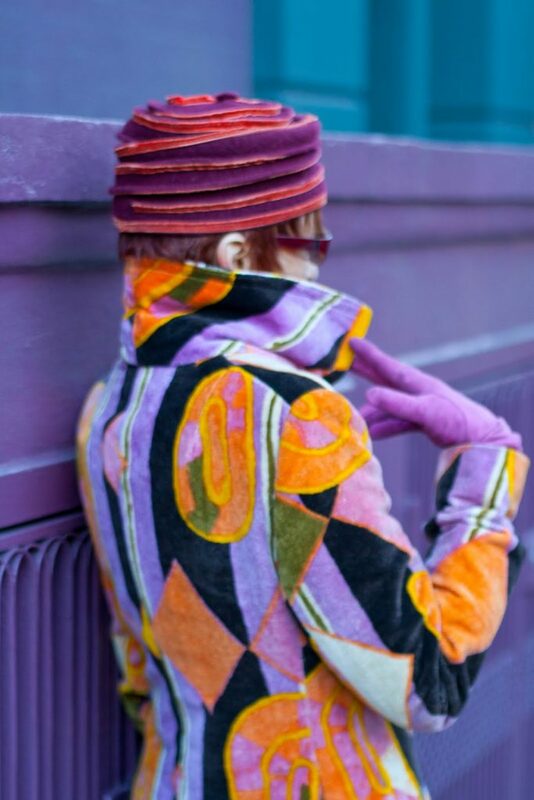 She has a great sense of style and wonderful take on life. 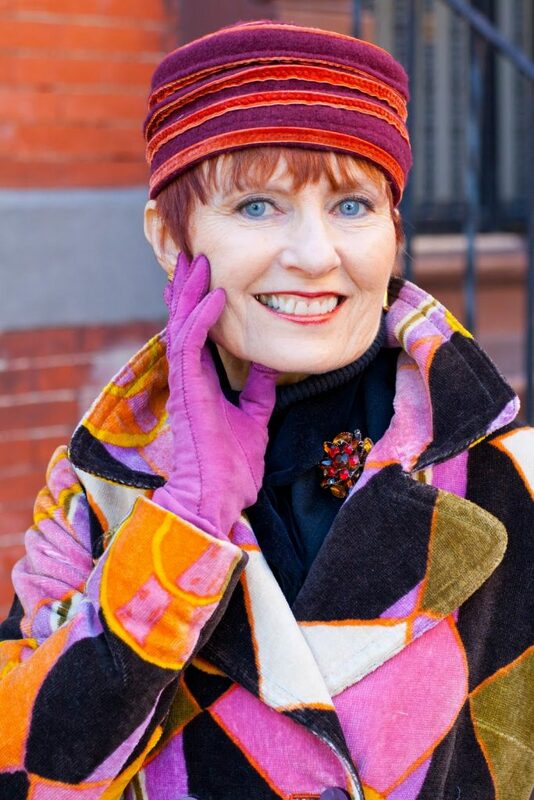 Judith shops at thrift stores and estate sales to find unique vintage pieces which she showcases on her blog.Make sure and stop by the Style Crone and remember to pass along any other fun senior style blogging sites my way, or share them on our new Advanced Style Forum . 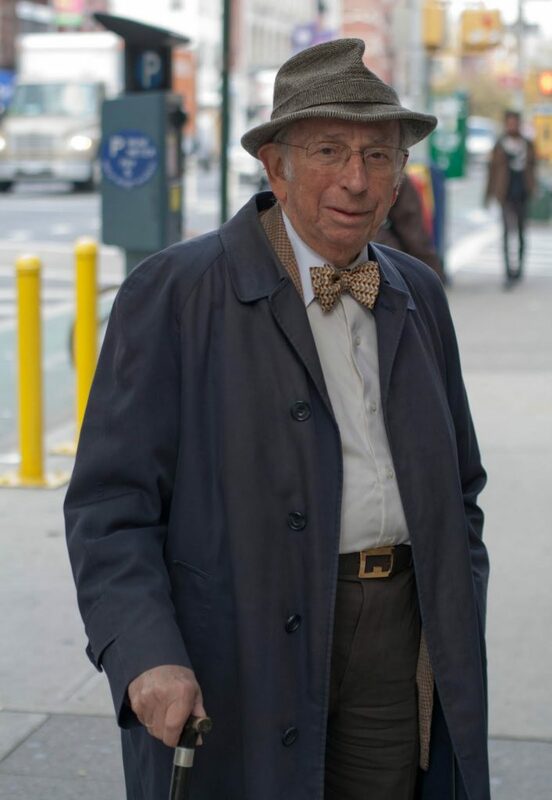 I take a lot of photos of stylish older women in New York, but I definitely see some wonderfully dressed gentleman as well. My buddy Mister Mort is the true expert at getting shots of stylish fellows. 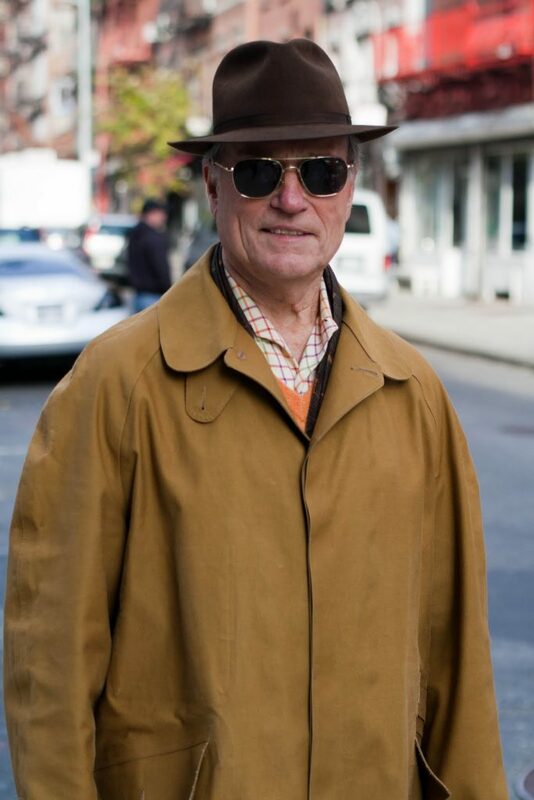 The other day I took a photo of a man in a Borsalino hat. 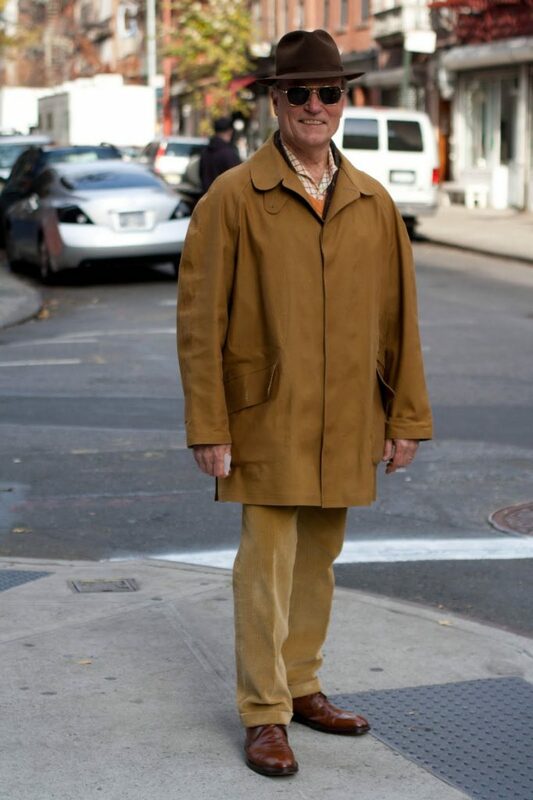 He asked me if I shoot on Park Avenue because, seven years ago he was approached by a guy asking to take photos of guys in hats. I am certain that this must have been MISTER MORT, the only other dude to snap shots of older ladies and gentleman that I know. We used to go photo hunting together before he moved out west and he continues to captures great style, like the fellow above. 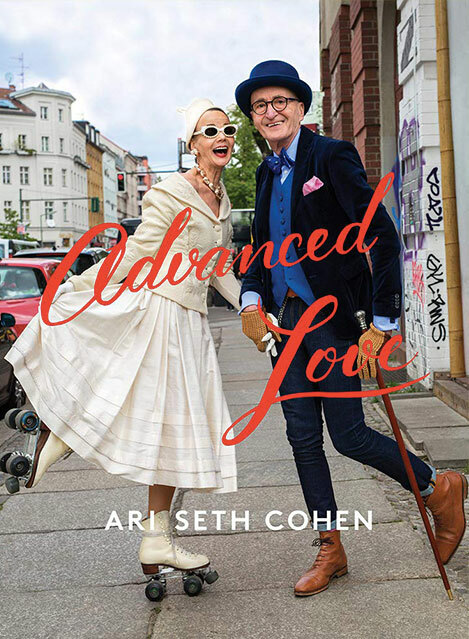 I also wanted to let you know that I started an Advanced Style Forum for us all to continue our conversations about life, style, and aging. Click the link below to check it out and participate and don’t forget to REGISTER. I can’t wait to hear all of your thoughts! You can also find the link on the sidebar. Meeting artist Eva Deutsch Costabel was truly an amazing and inspiring experience. 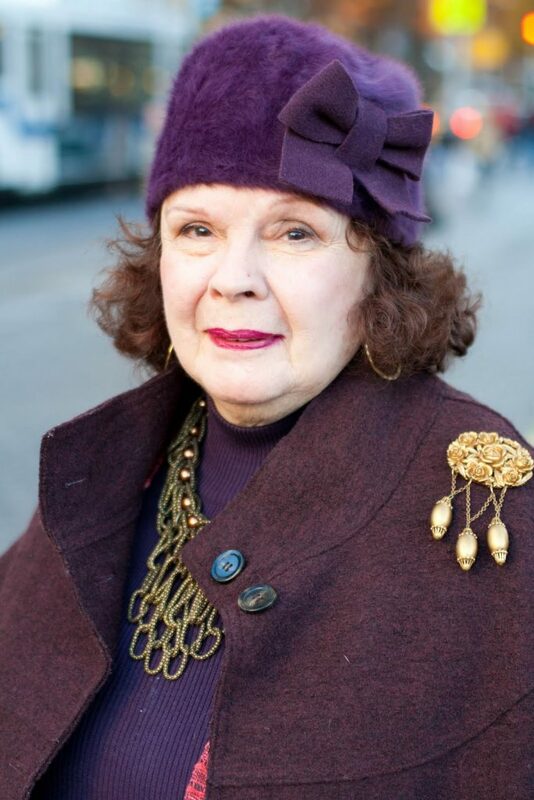 She has lived and worked in New York for 57 years, after surviving the Holocaust and fleeing for her life for several years. She arrived in New York in 1949 and worked under artist Franz Kline. During this time she created deeply personal abstract paintings informed by her emotional journey. 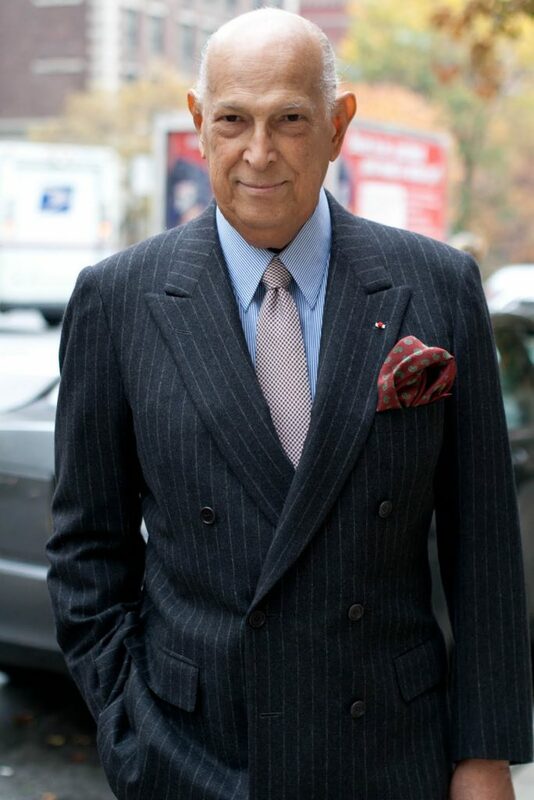 I had the chance to meet designer Oscar de la Renta at the Balenciaga preview yesterday. 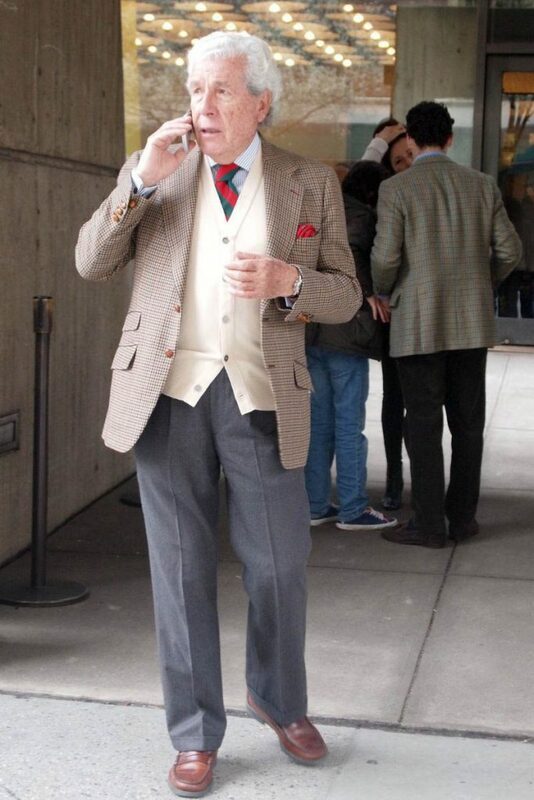 He is a true gentleman, and at 78 a wonderful example of advanced style.